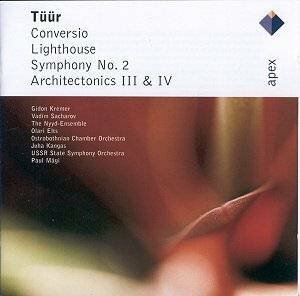 Tüür is an Estonian, largely self-taught, who studied with Rääts and Sumera. In 1979 he founded a chamber rock group 'In spe' which went on to find chart fame in Estonia. The present collection covers the 1980s and 1990s and marks the emergence onto the worldstage as enabled by Perestroika.